VisionProPOS provides you with powerful yet simple to use marketing tools to attract new customers as well as retain existing customers. Unlimited Promotions can be created along with their effective date range, marketing media that will be used to advertise the promotions and the location the promotion is valid at. This allows business owners to plan their marketing strategy in advance; System automatically generates a bar code for each promotion which can be used in the Marketing Letter or Flyer etc. Promotion success can be measured for each promotion code allowing business owners to make informed decisions for future promotions. 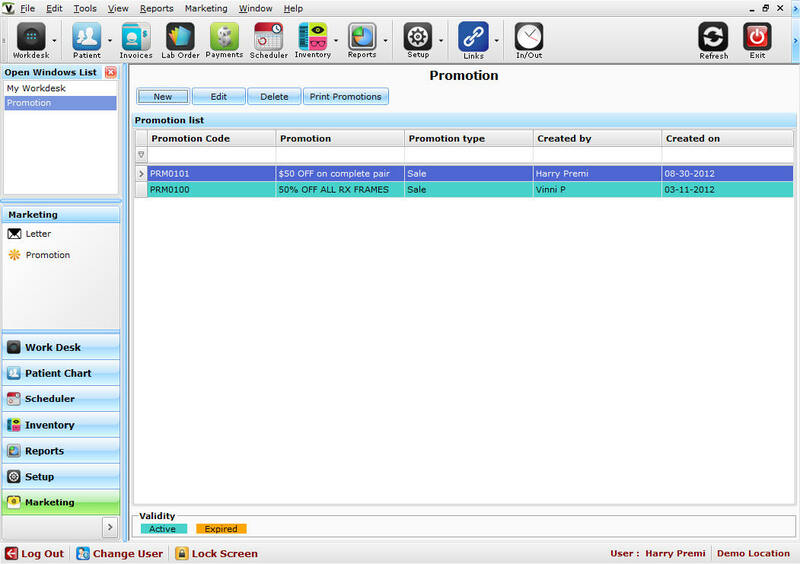 Promotions by Location: Users have the ability to create unlimited promotions based on location and date range. Promotion Discount Calculations: Users can define the promotions for item category like Frames, Lenses, and Contact Lenses etc. or be specific for a particular supplier or brand. Discount can be calculated based % or fixed amounts. Minimum sale amounts for a particular promotion can also be defined. 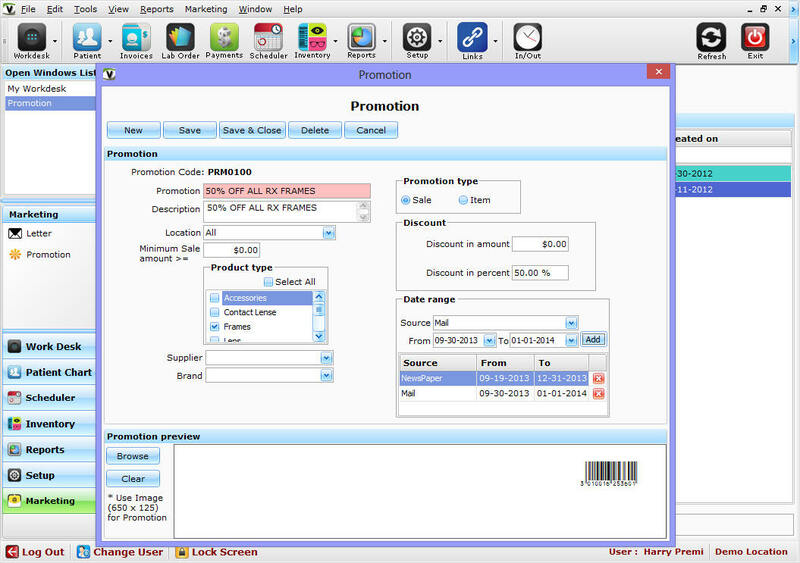 Promotion Bar Code: System automatically generates a barcode for each promotion. 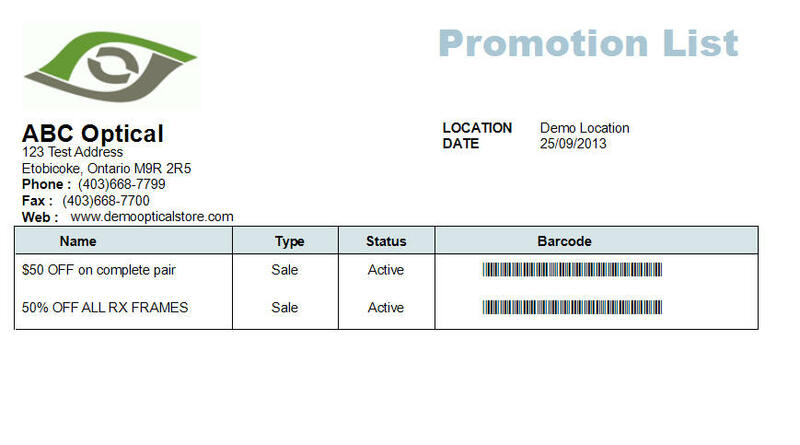 User defined image can also be uploaded in the system to make promotion letter or mailing look more attractive. Recall letters help you to constantly be in touch with your existing customers and increase customer loyalty. Recall letters can be either printed or E-Mailed. 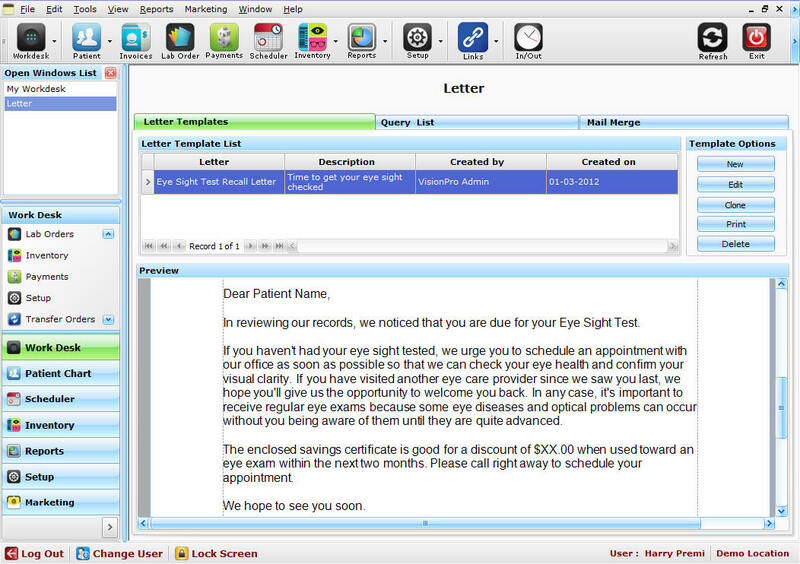 VisionProPOS smart letter generation tool allows you to create recall letters targeted to specific subset of your patient base like Age, Ethnicity, Language, Exam Type etc. recall letters help you to bring customers to your door step and increase sales. 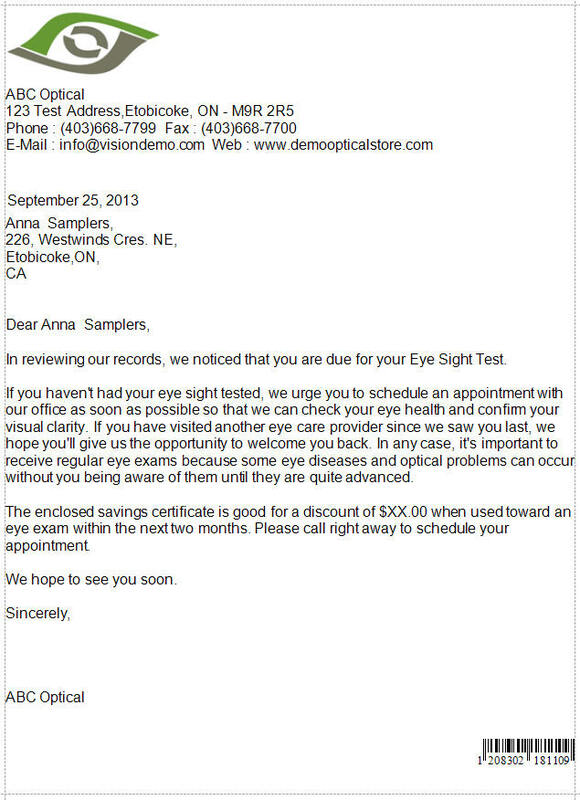 Recall Letter Templates: VisionProPOS provides some built in recall letters that can be customized to fit your needs or you can create your own unlimited number of recall letter templates with our built in letter editing tool. 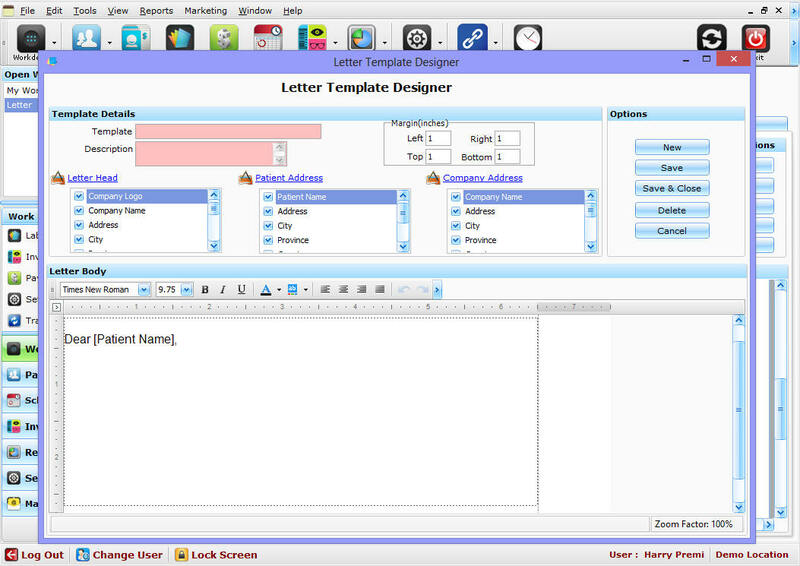 All recall letters can be customized with your logo, address, alignments etc. Recall Query: Recall letters can be targeted for customers at specific location or all the customers in the system. 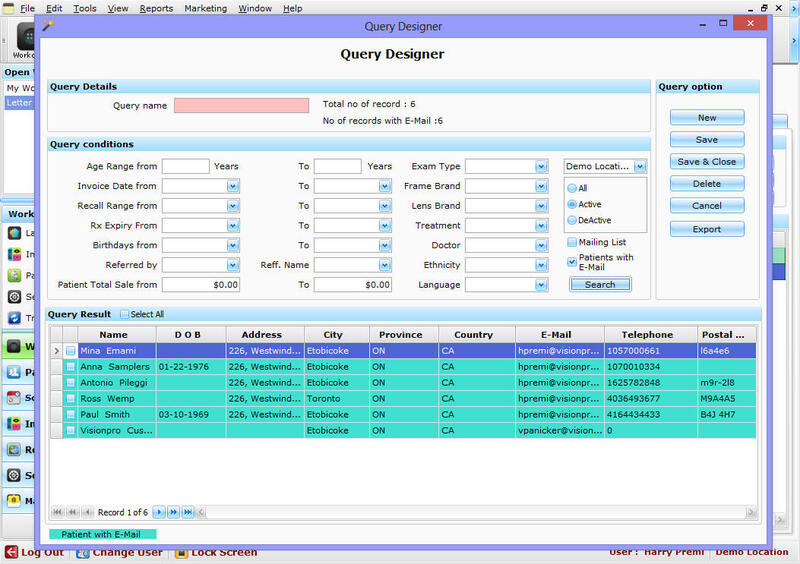 Query can be created to target specific customers in your database based on Age, Ethnicity, Language, Exam type, Recall range etc. Mail Merge: Mail merge allows you to prepare the letter to be printed and mailed to the customers or e-mail directly to the customers with valid e-mail addresses on file. 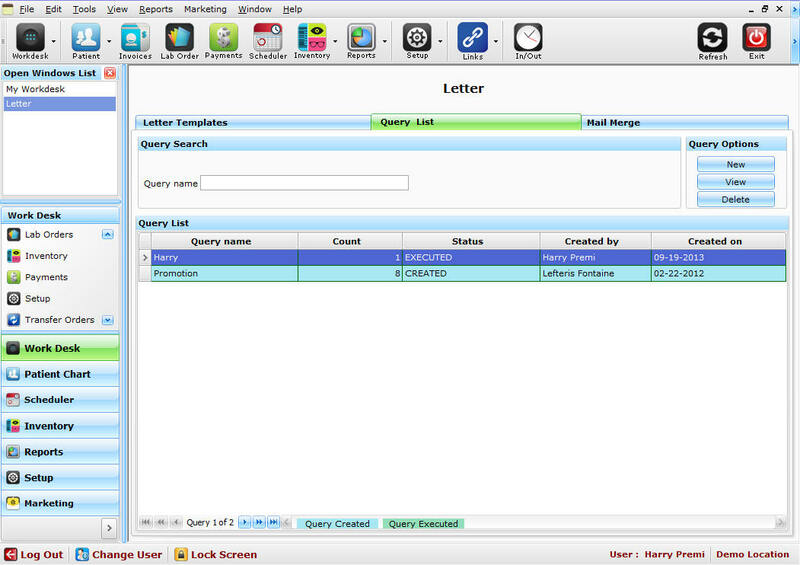 Letters can be created by selecting the appropriate letter template, query for targeted customers and promotion to be applied to the letter. You can also track the success and failure of the E-Mails sent by the system. Recall History: History is maintained for all you past campaigns.